I have to say I love the sound too Mary, luckily I can’t hear him early in the morning though! Oh, he’s very grand! 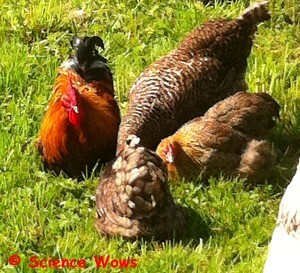 My mother kept hens and ‘one’ rooster when we were children and had a few broody hens who ALL produced baby roosters!!!! Very interesting to see the call ‘translated’! Yes Joanna it is amazing how the sound is translated so differently between languages, isn’t it? I love their sounds too but have to admit, the declaration of egg laying is a new one on me – how funny Margaret! 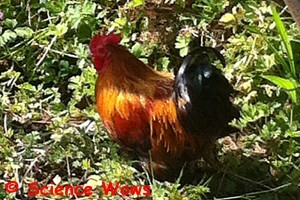 We have 2 roosters a father and son, so competition on the crowing can be quite insistent! I notice the older guy also responds when the ladies announce that they’ve lain an egg. I love listening to their chatter too!